Welcome to Music School To Go of Pasadena. 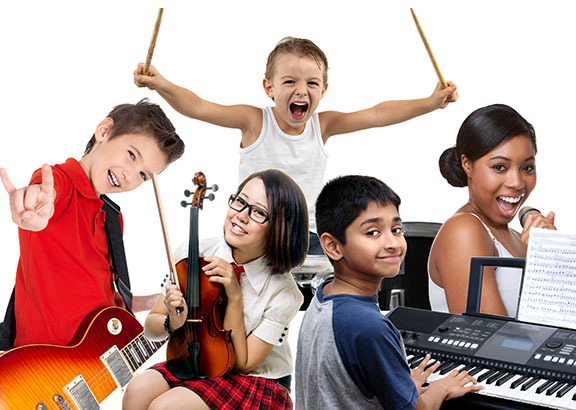 We provide fun and enriching private, in-home music lessons for kids and teens of all ages and skill levels, beginner to advanced, in Pasadena. Our instructors are highly qualified and experienced in teaching students according to individual needs. Our goal is to make music education FUN, while still providing a nurturing and structured learning approach that's necessary to achieve results. Our lessons are offered in 30 minute, 45 minute and 1 hour blocks. All lessons are customized with personalized lesson plans according to each childs age, skill level and area of interest. Our teaching plan combines all the fundamentals of music, and our teachers always end each lesson with something fun such as your favorite riff or song. Since selecting a music teacher is the most important decision you will make, Music School To Go makes that decision easy with the absolute best team of highly qualified, passionate and inspiring music teachers in Pasadena, CA. Now, finding the right teacher in Pasadena, CA has never been easier. Our instructors are professionally trained educators who care about your child's success and their love for music. Music School To Go teachers are dedicated to providing you with the best music lesson experience, learning at your own pace, and personalized to your goals and interests so you can start making music right away. When you choose in-home lessons, you are choosing the most convenient way to include music in your child's life. It's music lessons on your schedule, at a time that works best for you, with the best teachers. When you sign up for lessons, one of our highly qualified and talented teachers will come to you. We'll custom match you with the right teacher who suits you best and customize lessons for your age, experience and learning style. Not only will your teacher be highly qualified, your instructor will be friendly, professional and fun. We're sure you'll love your teacher -- students always do! Our goal is not only to teach music, but also to develop in every student a strong sense of personal accomplishment, confident creativity, and appreciation for music. We welcome beginners and students of all ages. Our current students range in ages from 4 years old to students in their retirement years. We take care to teach what you want to learn so music is fun and rewarding for students of all skill levels. We have been serving families in Pasadena, CA and surrounding communities since 2004 and hope that your family will be the next to join our Music School To Go family.